Friends. Oh my heavens. Yesterday, Bryan and I brought all of our Christmas decorations down from the attic (after moving forty thousand // kidding, sort of // boxes of shop inventory around in our garage) to decorate with Brady. Brady was SO. EXCITED. Guys. ABSURD. 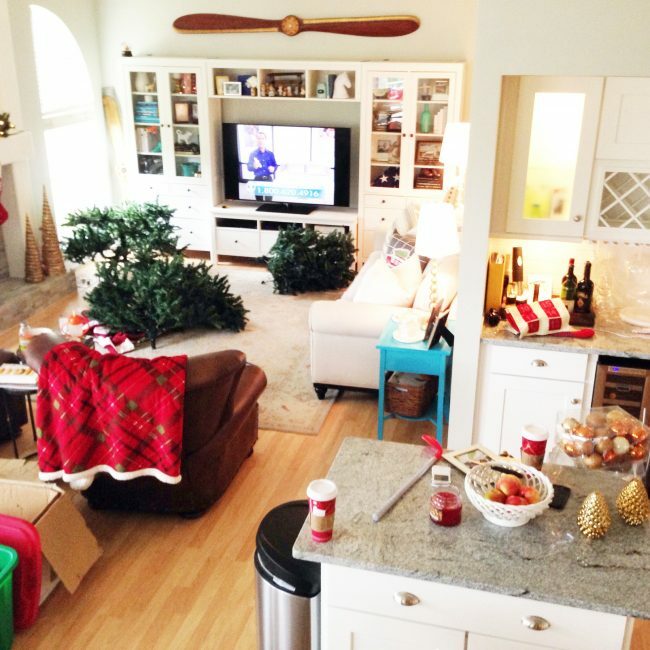 It’s not just absurd how much Christmas decor we have (I admittedly LOVE CHRISTMAS and am a little bit like Will Ferrell in Elf when it comes to the holidays. I could decorate our house the day after Halloween) but how much STUFF, in general, we have. Ugh. Just ugh. It made me want to throw up really. 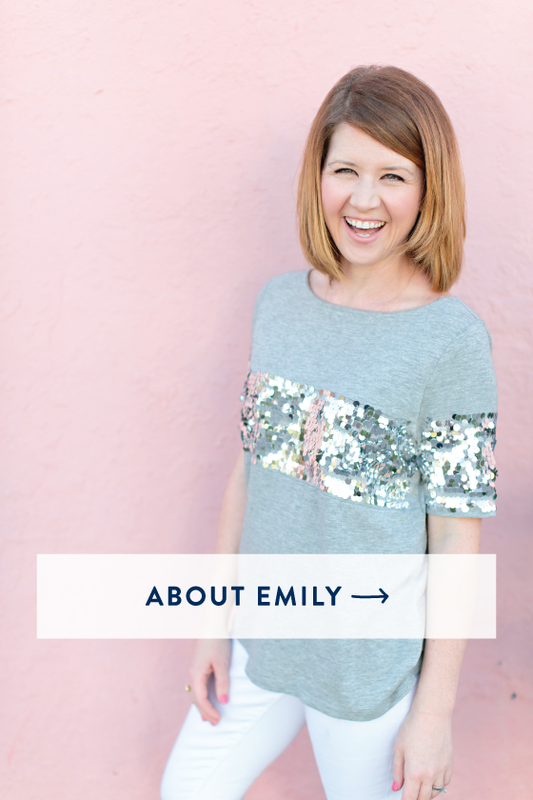 I get REALLY overwhelmed by physical clutter in a big way, so my anxiety was on overdrive. Bryan and I made a deal (we even shook hands on it) that November 24, 2013 was a day of change for the Ley family. I seriously cannot walk into Target without buying one silly gold trimmed picture frame or a white porcelain animal of some type. At least one. If not four. What a sick, sad waste of money. Don’t get me wrong, I love decorating my home with MEANINGFUL things. But do you know how much STUFF we have hiding in drawers and cabinets that so many other people could use? Not just decor, I mean pillows, blankets, clothes, shoes. Ugh. So, while Bryan attempted to fix our Christmas tree, I got out boxes (luckily we have one or two or seven thousand of these around our house these days) and Brady and I cleaned two closets and my office. 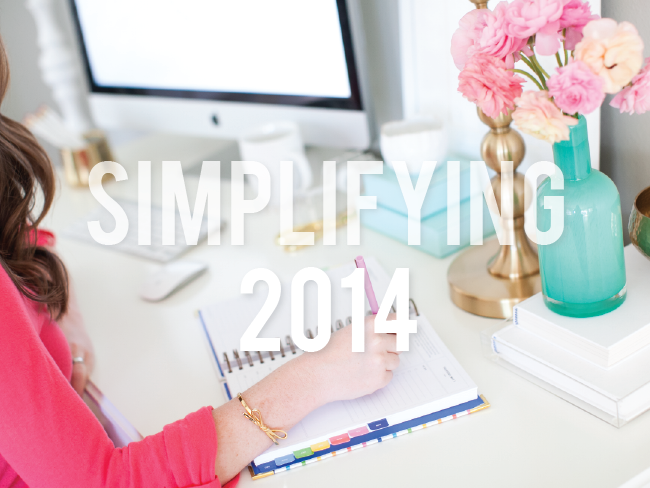 It’s funny, I had planned on writing about the process of SIMPLIFYING starting today. I just didn’t realize God would push me head first over the cliff of REALLY simplifying my life as I started writing it. 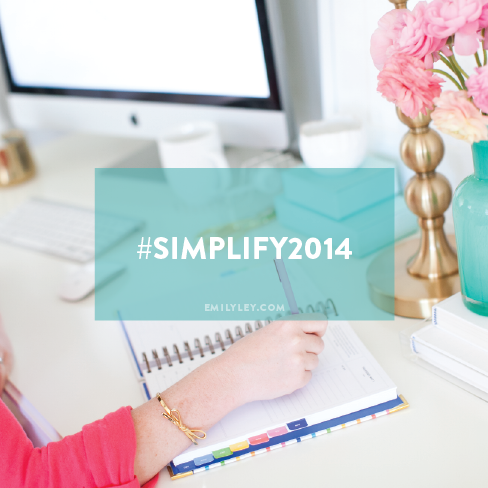 So over the next few weeks, as 2014 draws closer, I’ll be sharing the process of simplifying (something that’s also outlined inside our Simplified Planners) starting with Step 1. 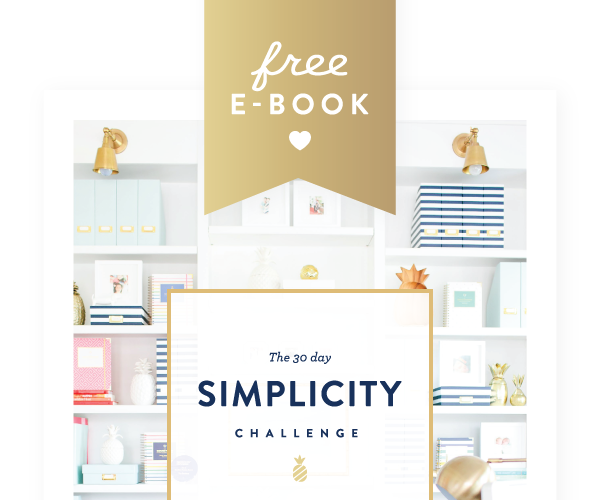 It’s so important to remember that simplifying starts OUTSIDE of your Simplified Planner, ten steps before you even open it. 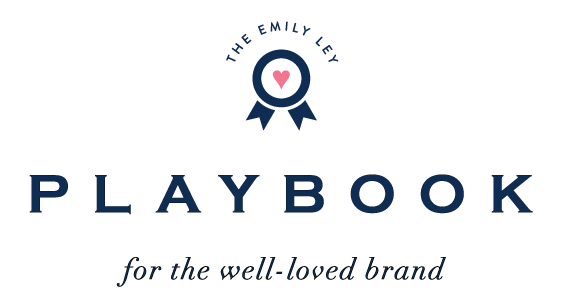 Physically, mentally, environmentally, spiritually, so many things have to happen to get your heart right so that you CAN put your Simplified Planner to use making what matters happen. Clearing the physical clutter, putting great soul-filling books next to your bed to fill your mind and heart with the good stuff, etc. That all starts BEFORE you use your planner. And now is the perfect time to dive in. 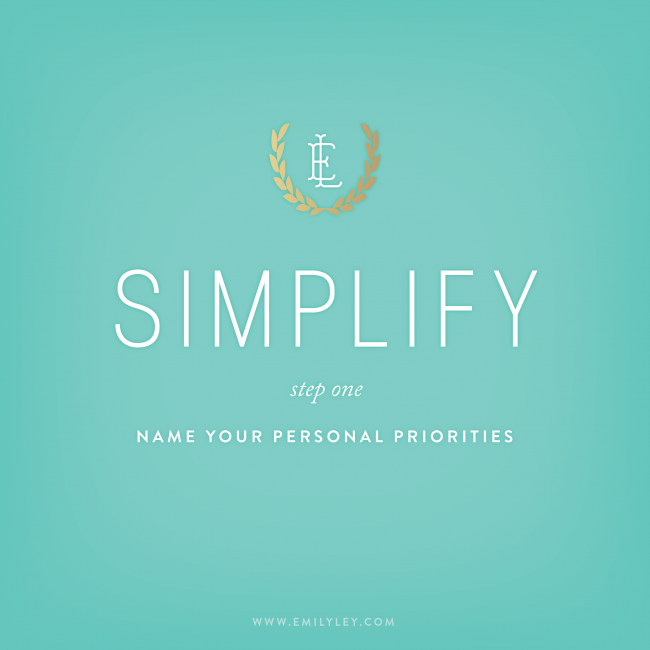 Part One: Prioritize (AKA, figure it out… decide WHY you’re doing this). 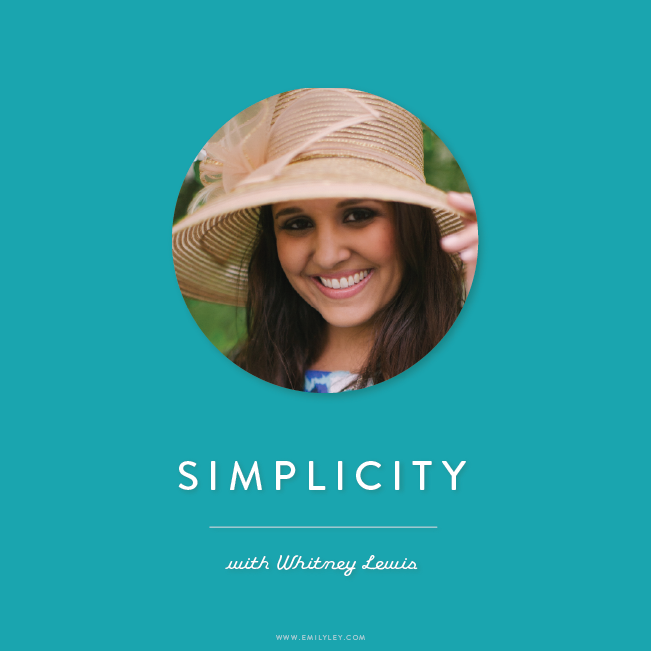 We’re simplifying because we need more brain space (and physical space – I’m indefinitely operating this business out of my 2,200 sq ft home for the next few years – by choice – to be closer and more available to my family) to truly spend more time on what matters. Get specific. If you haven’t checked out Lara’s PowerSheets, you’re missing out. They are incredible. I can’t wait to start mine for 2014! 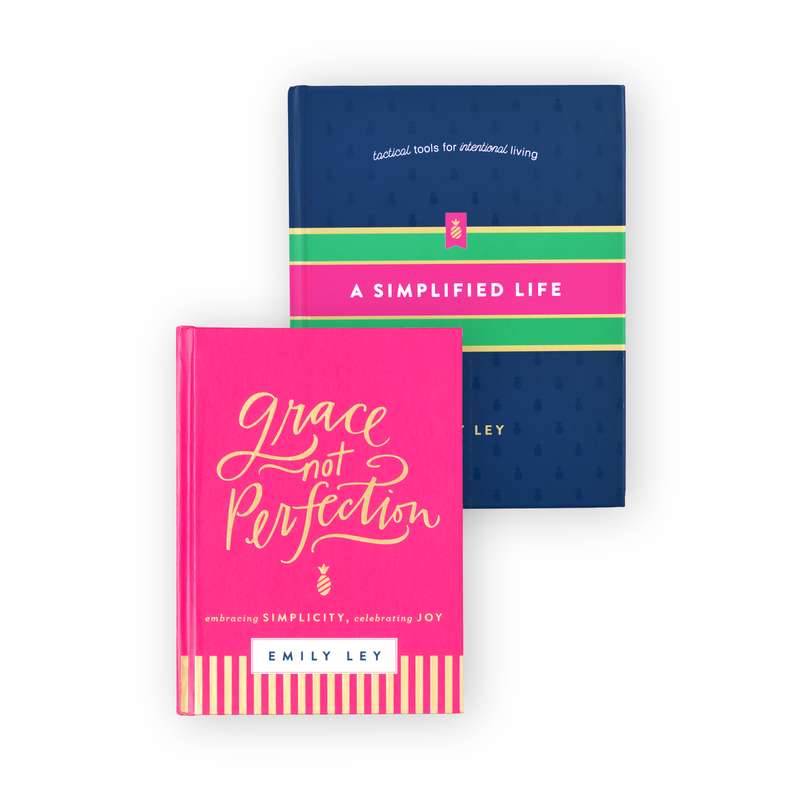 They are the perfect tool for goal planning and keeping yourself centered! Start these NOW so that you are ready for 2014. What we did this weekend is actually part of part TWO: shrinking the time suckers. Physically clutter is a BIG deal. This is what our weekend was about. Clear the physical clutter. Just get it out. Give it to someone who actually needs it. Use this experience as a time to teach your kids. Brady carried one of our boxes to the Goodwill truck and they gave him a “Good Kid” certificate. He is so proud of it. We’re talking a lot about giving this Christmas, so this was a really cool experience for him. He even chose some of his toys to give to “the little boy who doesn’t have any toys.” (For B, it’s really helpful for us to get specific so that he can wrap his little heart around it). We’re not stopping with just these rooms, either. Over the next few weeks we are clearing the clutter in a major, ruthless way. PART ONE: NAME what matters. List your priorities so that future decisions are made FOR you. When I get asked to work on Fridays, the answer is made for me. Brady – and my one day a week off with him – comes first. Done. That was easy! :) Go check out Lara’s PowerSheets. 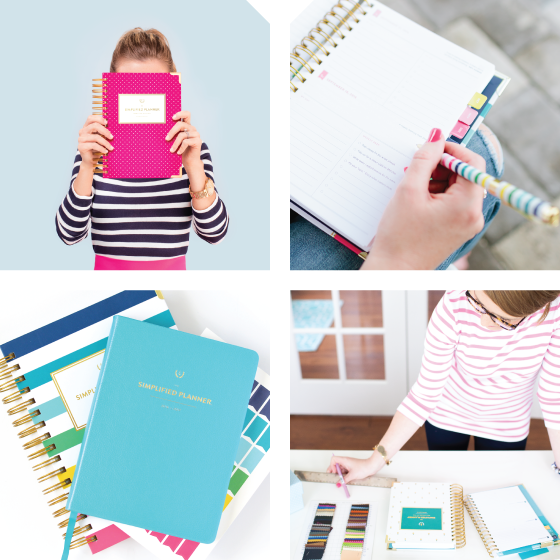 They fit perfectly inside our Simplified Life Binder – an awesome companion to your Simplified Planner. 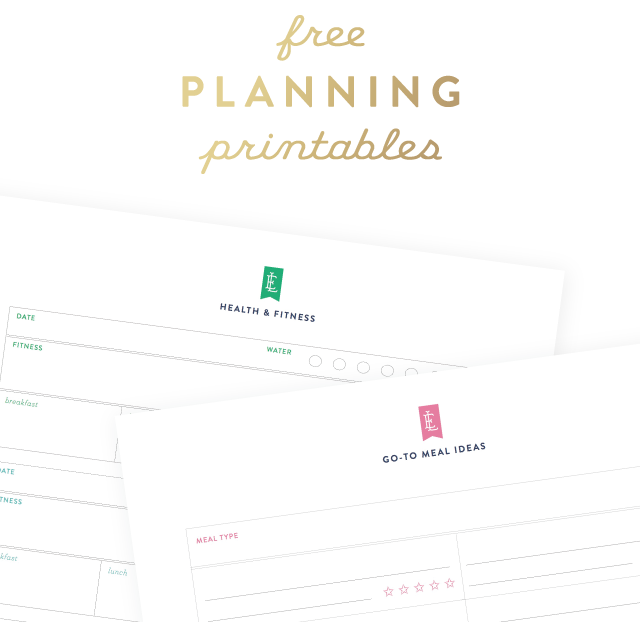 DON’T start filling out your Simplified Planner just yet. We have three steps to go. If you’re following along with us on this simplification journey, leave us a note below and tell us a little bit about how you’re accomplishing PART ONE! We’ll choose one of you to send a Simplified Life Binder to next Tuesday! Happy Thanksgiving, everyone! PS: Here’s a little Instagram graphic for those of you joining us! Here’s to making what matters happen in 2014!